Benjamin Curtis of School of Seven Bells – dead at 35. Just tragic. A selection of interesting music for you this week which is, in parts a little reflective. Particularly in the context of the recent death of Benjamin Curtis. We’ve six thoroughly worthwhile tracks from New York, Lyon, Paris and Melbourne. We’ve also got a brief step back in time to one of my favourite music shows. Break Science’s new album, Seven Bridges, is their first full-length album and a perfect showcase of the range of their creative vision and stylistic evolution. Seven Bridges is going to shake venues and clubs to their core, not only with ultra deep subsonic basslines, but with emotionally powerful lyrics and a soulful message of evolution, integration, and positivity in the face of hardship. The name of the album is very much aligned with its intention, to ‘bridge gaps’ between the past & present, the present & future, and between influence and imagination. Raised and influenced by the rhythm and culture of New York City, Adam Deitch and Borahm Lee fuse generations of the city’s rich musical legacy with their own deep-rooted connection to hip-hop heritage. Merging their production styles seamlessly, the duo creates a refreshingly original take on hip-hop, better described as electro hip-hop bass music. The live show transcends audiences’ expectations with Borahm’s seasoned trip-hop/dub/soul vibes on keys, as well as his advanced live production techniques, and Adam’s thunderous & flavorful breakbeat style on the drums. 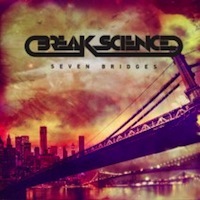 Coming off a largely sold-out Official Pretty Lights After-Party Tour while playing as part of Pretty Lights’ live band; Break Science announces new Seven Bridges Winter Tour dates for 2014. The tour begins on January 22, in Albany, New York, hitting major cities along the East Coast, before ending back in their hometown of New York City on February 1st to play at the Bowery Ballroom. Originating in Melbourne and based in London from 2007-2012, HTRK (pronounced Hate Rock) started playing in November 2003 when guitarist Nigel Yang and bassist Sean Stewart invited vocalist Jonnine Standish to create music inspired by Lynchian imagery, protopunk and post-industrial ideas. 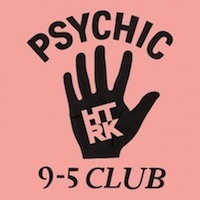 Psychic 9-5 Club marks the beginning of a new chapter for HTRK. It’s an album that looks back on a time of sadness and struggle, and within that struggle they find hope and humour and love. It’s Jonnine Standish and Nigel Yang’s first album recorded entirely as a duo—former band member Sean Stewart died halfway through the recording of their last LP, 2011’s Work (Work Work). Though the record is instantly recognisable as HTRK—Standish’s vocal delivery remains central to the band’s sound, while the productions are typically lean and dubby—they’ve found ample room for exploration within this framework. Gone are the reverb-soaked guitar explorations of 2009’s Marry Me Tonight and the fuzzy growls that ran through Work (Work Work). They’ve been replaced with something tender, velvety and polished. This is HTRK, but the flesh has been stripped from their sound, throwing the focus on naked arrangements and minimalist sound design. Both Standish and Yang returned to Australia in 2012, the former to Melbourne and the latter to Sydney. They decamped to the Blazer Sound Studios in New Mexico to begin work on their new record Psychic 9 to 5 Club, with Excepters Nathan Corbin called on to produce; the American struck up an immediate kinship with HTRK during their time together. Psychic 9-5 Club will be released in April 2014. Standish’s lyrics explore the complexities of sexuality and the body’s reaction to personal loss, though there’s room for wry humour—a constant through much of the best experimental Australian music of the past few decades. Standish explores her vocal range fully—her husky spoken-word drawl remains, but we also hear her laugh and sing. Equally, Yang’s exploratory production techniques—particularly his well-documented love of dub—are given room to shine. They dip headlong into some of the things that make humans tick—love, loss and desire—with the kind of integrity that has marked the band out from day one. Psychic 9-5 Club is truly an album for the body and for the soul. 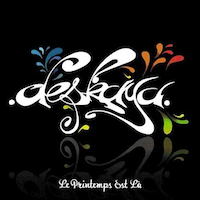 I was delighted to hear from an old friend of the show Gaspard Callet who was, at one time, guitarist with Deskaya who we had on the show back in 2008 at about the same time as another band was forming. 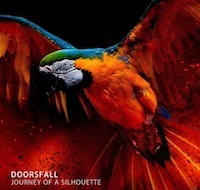 Gaspard is now doing lighting design for that other band, Doorsfall who are based in St Etienne. After a couple of essentially “folk” albums, the band have a new, more electro-pop release which you can catch on Deezer. It’s great to have Deskaya, rising from the grave to feature on the show again. The band may be gone but their music lives on at Jamendo. I just love the eloquent and musical use of the language in this. I know why so many non-English speaking bands write and sing in English but I rarely think it adds to the music even if we can understand what they are singing about. This track is almost an album in itself, with some interesting switches between styles and dynamics. Having said that, you will find it on an album, Le Printemps Est Là from November 2009. It all started with a double bass player, a guitarist and a violinist; all highly talented musicians who are really into swing, Django addicts who enjoy tinkering with electro. Their project swayed a singer, a clarinettist, a trombonist who doubles up on percussion and a guitarist who also acts as DJ. With their “Zazou” look (inspired by Parisian paleo-punks from the 1940s), they serve up festive, frantic music, an improbable futuristic and melodious Charleston fit for the dance floor. It so often starts out like that: a gang of mates who’ve kicked around together for the past ten years and who each get into music off their own bat. In this case, it was Hugues on the violin, Arnaud on guitar and Carlos on the double bass. A shared craze for manouche jazz (gypsy-style jazz), played in its natural setting, bars. Relatively serious composition, with a Zeitgeist twist: DIY electro, house, dub and hip-hop. 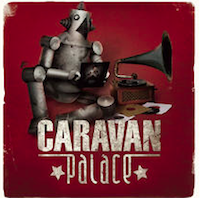 Caravan Palace’s reputation has rippled beyond the frontiers too, with Europe and much of the USA now under their spell. The only thing is that I can’t find my way through their information to discover what they are up to these days. The track is from their self-titled first album and here’s a more recent video for Dromophone, which is on their second album Panic which came out in March 2012, nearly two years ago and which their home page suggests will be out in March. This doesn’t look good so I hope all is well. School of Seven Bells was introduced to us with this e-mail from a fellow artist. At that time, Benjamin Curtis and his bandmates, Alejandra and Claudia Dehaza, were already established musicians. The group was fun, silly but serious about their craft. Signing them was a no-brainer. On their exceptional first outing as a band at CMJ, they scored the front page of The New York Times Arts section and the following year’s SxSW. I can remember the ferocity with which Benjamin played, the ends of his guitar strings straying into the air. “Dead soldiers,” I think he called them. His sly smile and easy hint of a drawl sat atop an intensity I haven’t seen in a musician before. His guitar tone was loud and direct. He was one of the best pure producers and engineers. Their first album, Alpinisms (produced at home on a laptop no less), was a huge deal for us and remains one of Ghostly’s most beloved releases. Benjamin wanted to push the band further for the next release. He wanted to write directly with no obfuscation of meaning. Benjamin was the kind of musician who pushed every performance and sweated every song. It was always on. A few friends and I went to visit Benjamin last month in the hospital. I regret not visiting him more. What struck me was what had remained after all he had been through. The wide cheshire cat grin. The humor and hope. Only his thin arms and shorn hair gave away his struggling health. Benjamin said he stayed busy working on music, but joked that he was otherwise so bored from sitting in bed that his taste was in jeopardy: Any movie, no matter how schlocky, appealed to him. He also laughed his big, pleasing laugh when we said he should have been at the fundraiser his management had planned for him a month before, as there were plenty of beautiful women there. Benjamin died at 35, in advance of his best work. What we have to experience is his music, and for those lucky enough to have met him, the evidence of someone who cared deeply. 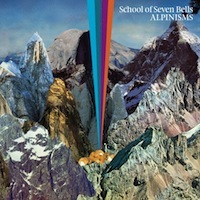 From their superb debut album Alpinisms (2008) in the ever-excellent Ghostly International label. Benjamin Curtis met identical twin sisters Alejandra and Claudia Deheza while opening on an Interpol tour. The three decided to end their commitments to their old bands, move into a shared space, and create a home recording studio together. The band had an unorthodox songwriting process that began with lyrics, which were then supplemented by the music. Curtis said this is the most important part of the band with “everything else [being] accompaniment”. Gabor Kovacs of the late lamented (but let’s hope “just resting”) Electrical Language podcast (http://electricallanguage.com/) introduced them to me very late one night, while I was indeed half asleep. I saw them in London a few years ago and, although the house sound system was rubbish, the defining talent of both Curtis and the sisters shone through. A couple more albums followed, despite the departure of Claudia in 2010. 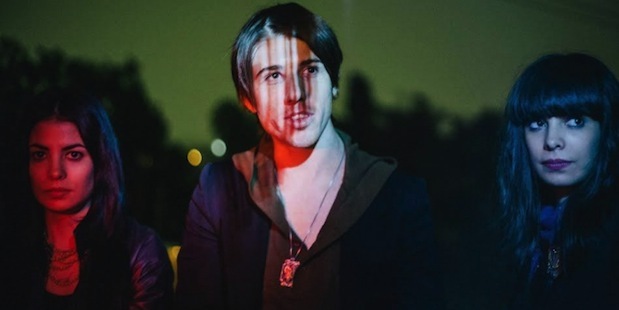 On February 8, 2013, Alejandra Deheza announced via the band’s Facebook page that Benjamin Curtis had been diagnosed with T-cell lymphoblastic lymphoma after several weeks of symptoms. Deheza noted that the condition was treatable, and expected treatment to last several months. However, Curtis did not recover and died on December 29 2013 at Memorial Sloan–Kettering Cancer Center in NYC.